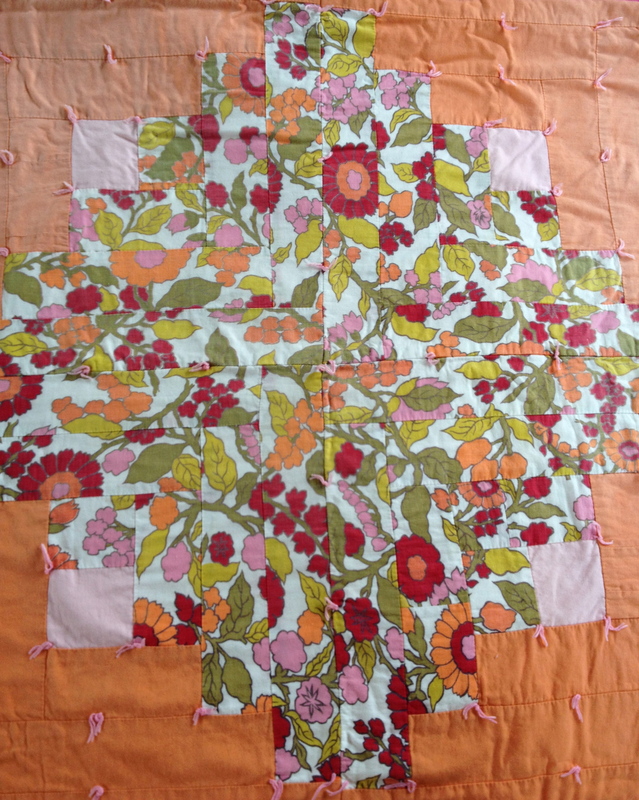 Posted: March 30, 2014 | Author: luray | Filed under: Fun Finds, Sage Farm | Tags: Sewing, Textile, vintage quilt |Comments Off on A garden bed you can bring indoors. No watering needed! 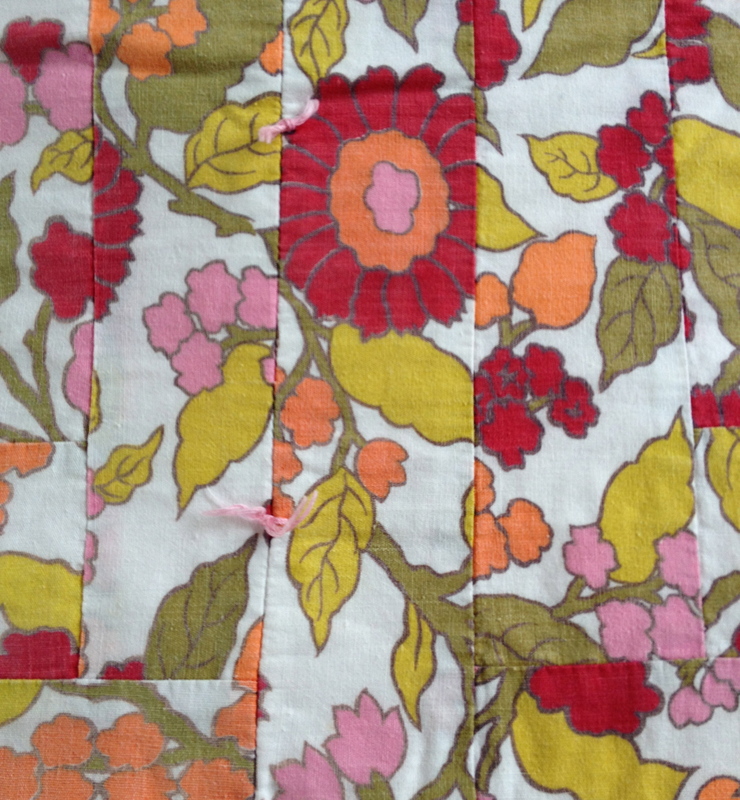 The fabrics are heavy and tightly woven cottons. They’ve been washed many times and faded, so the overall effect is rumply and comfortable. And isn’t that print pretty? You’d be instantly cheerful waking up underneath it! 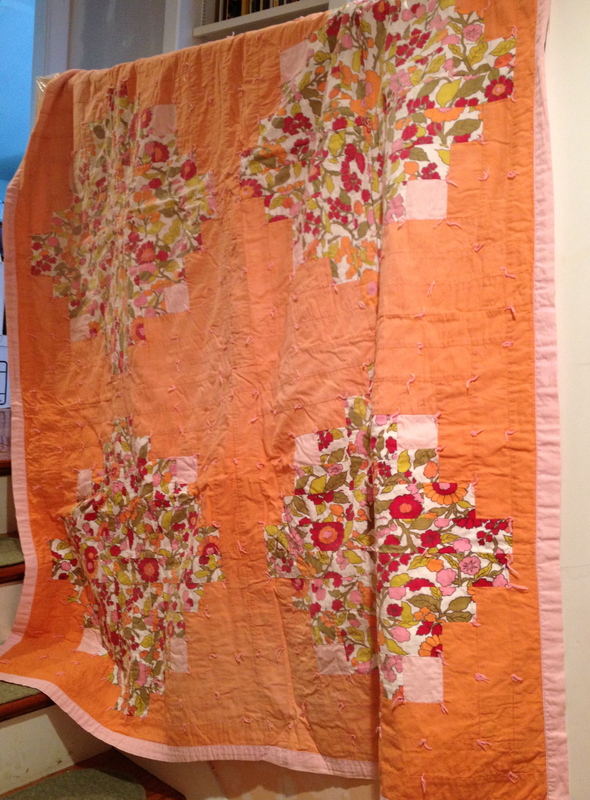 Technically, this isn’t a quilt at at all, since it doesn’t have any batting and never did. A tiny open seam in the backing let me peek inside. There is a white interlining, kind of like an old bed sheet, between the top and the backing. But no batting. The three layers are tied together with pink 6-strand embroidery floss. I guess this counts as a tied coverlet, then. The backing’s one big piece of pink cotton. 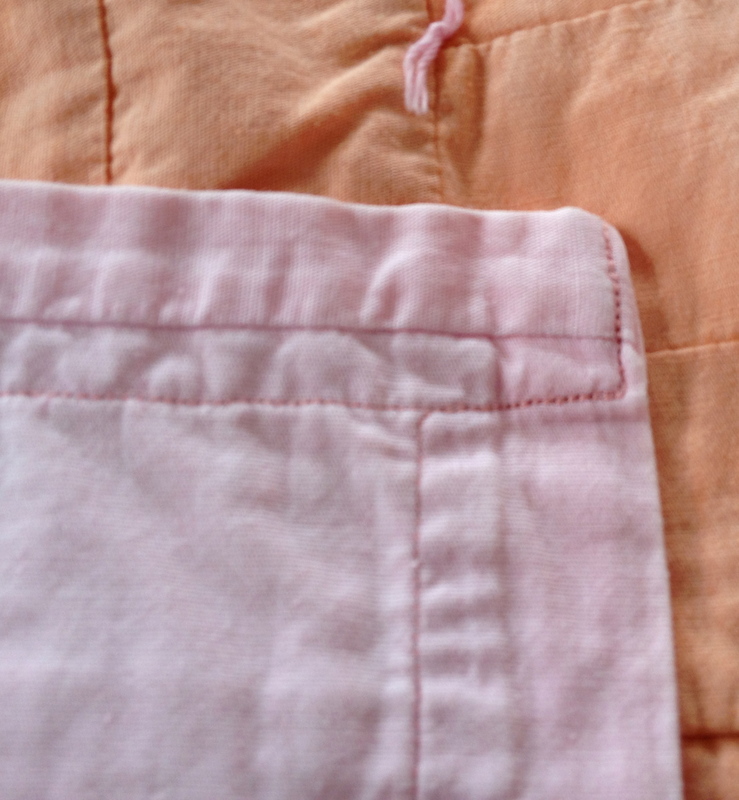 On two sides it’s folded over to the front and neatly machine-stitched to create a binding. 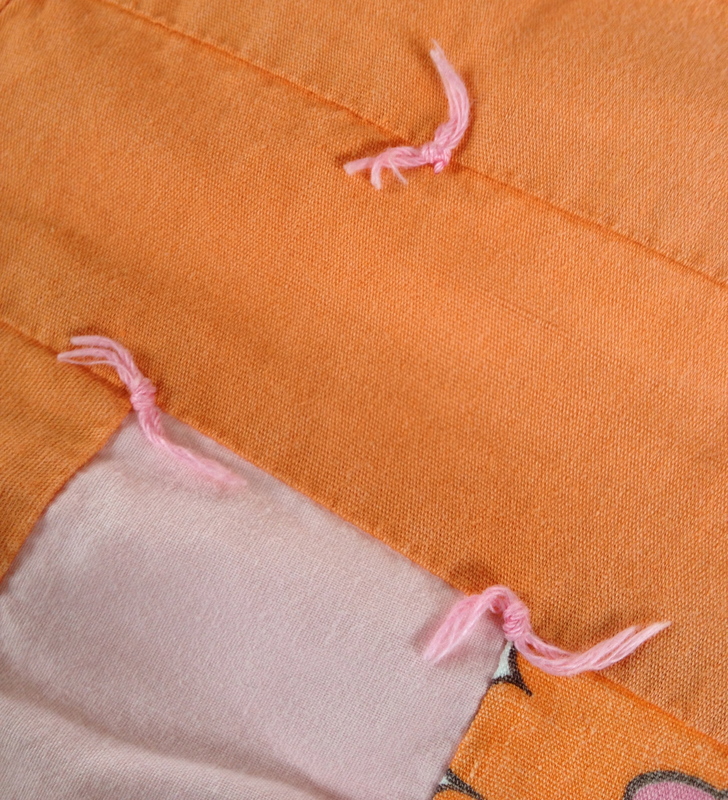 On the other two sides, an extra strip of pink has been sewn on to create the fold-over binding. Maybe the maker goofed when she measured. I’m sympathetic, ’cause I do that all the time! Or maybe the fabric just wasn’t wide enough to start with. Anyway, this beauty’s going to Sage Farm!